Flash is not supported in iOS or in Android devices out of the box. Google Chrome does not support it at all. While Flash can still be installed on Android devices, there are no security updates, bug fixes, or official Adobe support. So when Adobe dropped mobile Flash, it opened the door for HTML5 video players. 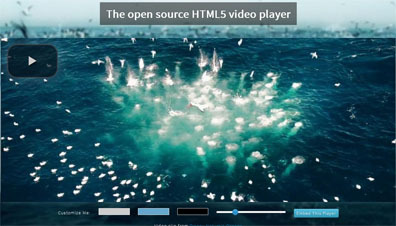 HTML5 video players make web video accessible without plug-ins. HTML5 video players allow you to customize your video player to control what the player looks like and how it acts across a wide variety of browsers. The first question to ask is if video hosting is allowed by your web hosting company. If so, and if you have access to the server, you can install an HTML5 player that will play the video that is also hosted on your site without the need for third-party plug-ins. To learn about using HTML5 video see the HTML5 Video tutorial at (https://www.w3schools.com/html/html5_video.asp). There are quite a few HTML5 video players. One of the most popular is the Video.js Player. It’s also called HTML5 Video Player (https://www.videojs.com). This is a free and offers a WordPress plugin version that’s compatible with all WordPress versions. Video.js allows you embed any HTML5 video on your site using HTML5 with Flash fallback support for non-HTML5 browsers. It is open source and includes guides for setup and options as well as guides for customizing the player. Video.js has a preload option which means the video will start loading in the background, so when a visitor clicks, the playback will start right away without pause. The player also has a customizable skin that you can choose or create at designer.videojs.com. You can also add and change controls, color and size to make the player suit your site design. It has additional options such as captions and subtitles support, and video chapters. It’s perfect for professional sites with lots of video. If you can’t use the WordPress plug in, you must upload the video.js player to a page on your server via FTP or other means. There are instructions for adding a few lines of code to your server or page. These are not necessary if you use the WordPress Plugin version.